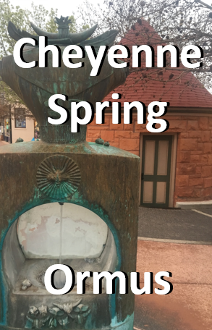 During the 1870s, Cheyenne Spring was part of the then-larger Soda Springs Park which encompassed the springs of Navajo, Cheyenne, Shoshone, and Manitou (now located inside the Spa Building). 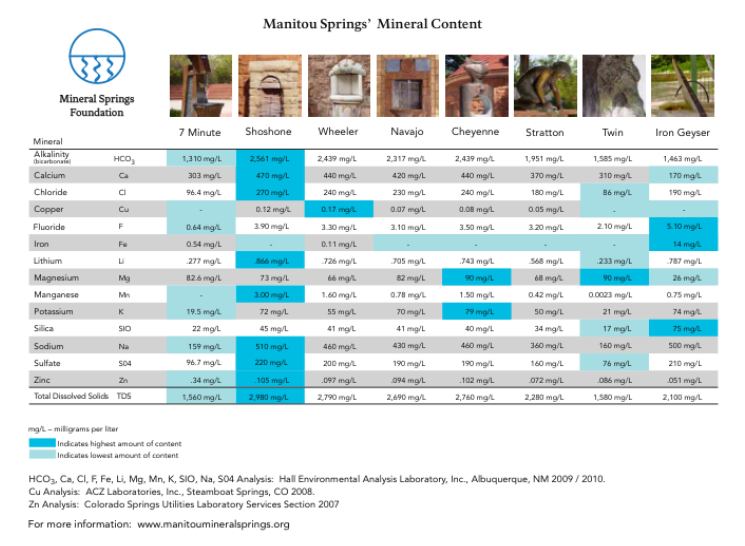 Twenty years later, the current spring-house was built over the naturally-carbonated, artesian soda spring by the Manitou Mineral Water Company. The red-orange Lyons sandstone was sourced from nearby Kenmuir Quarry, now Red Rock Canyon Open Space. Other expressions of the Lyons sandstone can be found in Garden of the Gods Park, northeast of Manitou Springs. Inside the spring-house, a copper-clad, carbon-dioxide gas collector sits in the center of the cistern. The mineral water company claimed to be the first in the world to capture natural gas emitting from the source and reinsert it during the bottling process to produce ever-popular sparkling beverages. Native Americans thought the bubbles in the water (from the natural carbonation) represented the breath of the Great Spirit Manitou, who blessed the waters with magical and healing properties. The land around the springs was sacred.